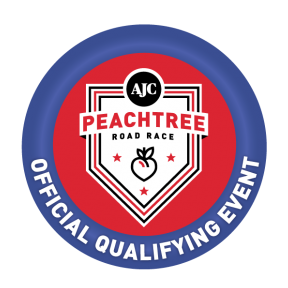 5K Course is a USATF certified AJC Peachtree Road Race qualifier for 2020 and uses Chip Timing. The course has flat to rolling hills on tree lined roads around the park with downhill finish inside beautiful Lenox Park over the dam. The Fun Run course is less than one mile, and starts and ends at the 5K finish line. Can’t make it or can’t run? You can still support Ahimsa House by signing up to participate in spirit and receive a t-shirt! This year’s participants in the Fun Run will receive performance T-shirts if registered by August 18 at 5pm. Prizes will be awarded to overalls, masters, and to the top 3 female and male finishers in nine age groups. Awards will be given to the Top 3 Dogs crossing the finish line. Download and print event flyer (put one up at work or in your neighborhood and try to recruit a team)! 1. Dog must be current on all shots and rabies vaccination. 2. Dog must wear an ID Tag. 3. No dogs in heat and no aggressive dogs. 4. Dog must be leashed (6 ft. max length) and in control. No retractable leashes please. 5. You must pick up after your dog. Disposable bags and water will be provided. 6. A participant can have no more than two dogs under his or her control. Children must be at least 13 years old to participate with a dog without adult supervision. 7. Strollers are allowed in the race, but for the safety of our runners, we ask that anyone participating with a stroller to please start in the back. Congratulations to Sarah Simmons for her winning design! Thank You to Our 2019 Vendors! Theme: running to benefit the human and animal victims of domestic violence. Submissions due by 11:59 PM on Wednesday, July 31st. Our planning committee will choose the finalists, and the final winner will be determined by a vote on the Ahimsa House Facebook Page. Please email designs (in eps, ai, or pdf format) and any questions to Samantha Altfest at samantha@ahimsahouse.org. Please make your design appropriate for 3-color printing: up to 3 solid colors can be printed. We can print any 3 colors and are able to match the imprint colors used. The design cannot include any shading or gradients — each color must be a solid shade (for example, one solid color red, and not different shades of red used). If submitted designs are not appropriate for 3-color printing; you may be asked to withdraw your entry and resubmit with appropriate color schemes. The color of this year’s t-shirt will be announced soon. Winner will receive special recognition on the Ahimsa House website, Facebook page, newsletter, and on the t-shirt. Winner is also eligible to register for the 5k Run and/or Fun Run at no cost. Have more questions? Contact Carol Neal-Rossi at cnealrossi@gmail.com. Is the registration fee per person or per dog? Please do join us and have fun with or without a dog. I can’t attend Walk, Wag, N’ Run but would still like to make a donation to help the animals. Can I do that? If you are unable to attend the event you can sign up to be a phantom runner or you may make a tax deductible donation of any amount here. Any remaining t-shirts will be available for purchase at the Ahimsa House office the week following the race. Please call (404) 496-4038. If I register on-line or by mail, how do I pick up my t-shirt? You may pick up your t-shirt at the Finish line on the day of the event or pick up your packet before the race at a day, at Big Peach Running Co. Town Brookhaven, 705 Town Blvd, Suite 340, Brookhaven, GA.
Why is it important that I be on time for the start of the 5K run or fun run? The 5K begins promptly at 7:30 and the fun run at 8:45. If you want to start with the others, you will need to be on time. For course monitoring and safety reasons, those who are late may not be permitted to participate. On the day of the event free parking (without permit) will be available at the parking structure at 1015 Lenox Park Blvd NE. Free parking is allowed in the parking structure only. Cars parked in other Lenox Park lots may be towed. There is no street parking available. Why should I support Ahimsa House?  Every dollar Ahimsa House raises goes to a great cause. 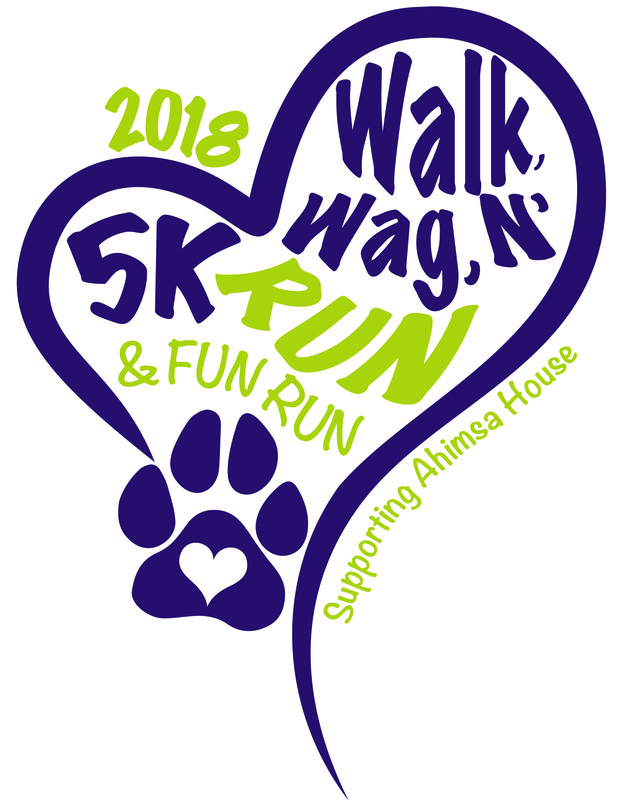 Ahimsa House is Georgia’s only 501(c)(3) nonprofit organization dedicated to addressing the links between animal cruelty and domestic violence, and to helping the human and animal victims of domestic violence reach safety together. To date, Ahimsa house has provided more than 65,000 nights of emergency safe shelter for animal victims of domestic violence across Georgia. We also provide veterinary care, transportation of pets to safety, a 24-hour crisis line, guidance on pet safety planning, legal advocacy to help owners protect their pets via the court system, financial assistance with pet deposits in transitional housing, consultation in the prosecution of cases involving animal cruelty and domestic violence, and community outreach and professional agency cross-training on understanding the role of pets in domestic violence. More than 80% of donations directly support the animals. By choosing to participate in Walk, Wag, N’ Run, you can be a vital part of this effort and have fun at the same time. Can I volunteer at Walk, Wag, N’ Run? Of course! Please click here for more information and to sign up!